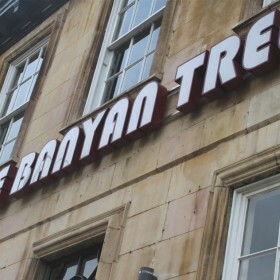 Our Peterborough City Centre Indian restaurant can be found within the stunning former Royal Hotel adjacent to Queensgate shopping Centre and John Lewis. 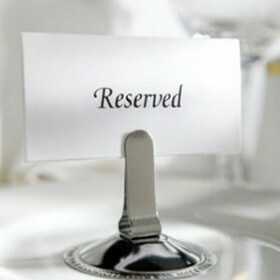 Occupying three floors the flagship restaurant offers 100+ spacious covers in chic surroundings. If your looking for genuine Indian food near you, then look no further. 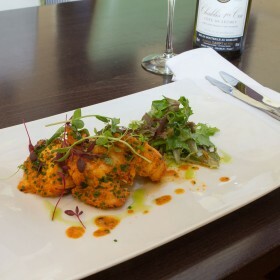 Our menu consists of traditional regional dishes of India. While this includes familiar curry like Butter Chicken and Bhuna Gosht, you can also delight in offerings from South India with the likes of our Goan Fish Curry. We have a fantastic selection of Vegetarian and Vegan Indian food and Vegetarian curry. Our new menu boasts specifically created vegan Indian food and gluten free options designed by our Chefs from India. We have a large Bar that would be the envy of any drinking venue and this is stocked up with exclusive wines, superb premium artisan spirits and a great range of beer on draught. Also available is a short Lunch Menu with popular Curry options and quick bite starters. 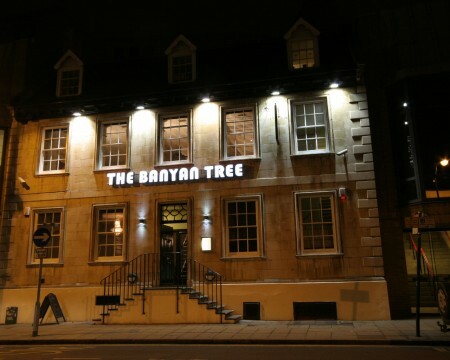 So whether you want to have a quite drink and light snack or would like to sample our full flavoured cuisine, The Banyan Tree is your ideal destination for the very best Indian restaurant food and curry in Peterborough.